You would imagine that my knitting is from a pattern in this book, but it is not. I have been starting and ripping out some lace designs for the past few days, I believe I am happy with what I am knitting now. It's a 12 row lace repeat that is easily memorized from Barbara Walker's book (not shown) with a garter stitch edging. Simple, easy, and knitting with oh so divine silkpaca yarn that my sister gifted me last year. As we near the holidays I am motivated to explore my collection of yarns, to use what is at hand. There is a list growing of projects I'd like to cast on, yarns I want to "knit doodle" with, and now that we are nearing the big holiday, there were will be spans of time to be in my happy place. The book is a present from my sister. She knows what I like to knit and I have been thrilled to flip through the book, trying not to drool over could be would be lace projects! I like that the lace designs are in different weights of yarn. I love lace knits but I have never done a lace project ( I am still a newbie to knitting). I was thinking of making myself a spring shawl after Christmas. Any suggestions on a good beginner pattern? I'd say a simple repeating lace pattern is the best. Multnomah shawl, traveling woman, and Holden Shawlette were good starters. It helps to knit the pattern to get used to the way the design is behaving. pretty color….oh, inventory-ing the stash and working from it…..why is that such a challenge around here??? good for you. I am all about knitting from stash in the coming year. One of my projects over the Christmas break is photographing it all so I can see it in front of me. I can see you making some beautiful things from that book! Looks like your sister knows you very well. :-) I like your lace project and look forward to seeing more of it. I have had my eye on that book as well! I love that book! Sadly, you know how I am with lace these days. If it's at all complicated, it just doesn't happen! Your lace project is going to be gorgeous. I have a couple of the other One Skeins books and I'll have to see if my library has it to check it out. That book looks good. Love the idea of lace and one skein! Happy knitting and reading, Karen! I'll have to see if the library has this book. I think the yarn I bought in Japan is a lace weight. It's hard for me to tell, but it feels thin enough. And I'm not really sure what to do with it. I can't wait to see what you create from this book! I have the same book, but haven't knit any of the patterns yet. Using stash or passing it along should be one of my goals for next year. Gorgeous purple yarn. Karen that yarn looks amazing and I can't wait to see your finished shawl! Merry Christmas to you!! I find lace quite hard to knit as I need to concentrate and I do not have much time for that. 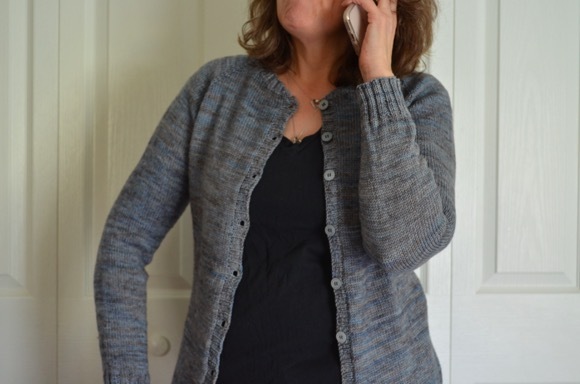 You can't knit lace with constant interruptions! I love seeing the patterns you can create with it, your book sounds great how lovely that your sister bought it for you. That's a pretty purple. Nice to know that even seasoned knitters rip their projects out until they find the right one. It is a very good thing to try and use what's on hand - a good resolution! 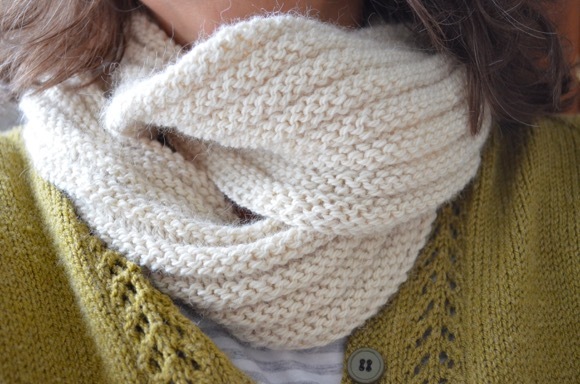 I am learning so much about knitting by reading your blog. And it's nice to read that ripping out happens just because a project doesn't feel right. As usual, your current project looks like it will be beautiful.